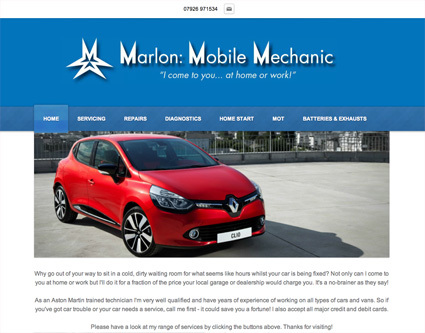 I am now offering website packages to suit all budgets: designed by myself and managed by a fully qualified technician. Together we produce bespoke websites, complete with a domain name and hosting from as little as £199*. These are just a few examples of our work, but we do a lot more. 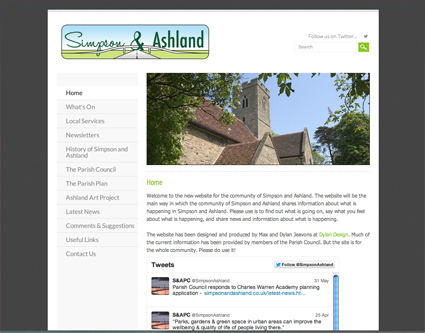 We can create websites to meet all requirements and offer a full management service. From design, to upload, to updates and servicing, we can take the hassle out of website creation and management. If you'd like to update and manage the website yourself once it's been created, that's no problem. We can give you tuition on our incredibly user-friendly content management system. Give me a call to find out more on 01908 200912. *VAT will be applicable to all charges quoted. An annual service fee may be applicable in some cases. School website packages from just £450. Please contact me for details. 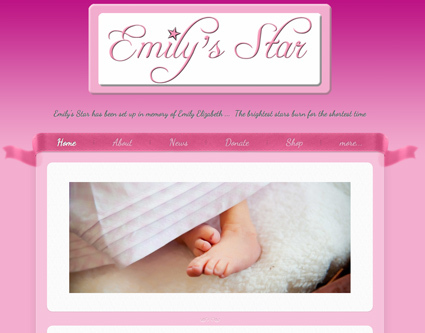 I am now offering e-newsletters like this from just £99! 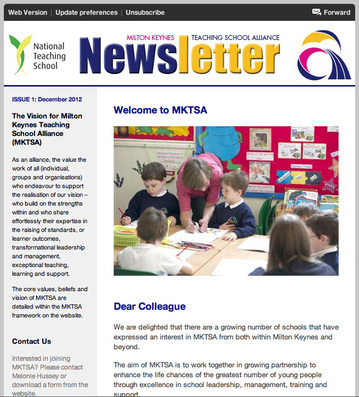 e-newsletters are the best way to reach a large group of people or customers. Whether you want to promote your services to a new audience or keep existing customers informed of your news and developments, this is the most effective way of communicating. Delivered via email we can send information to thousands of people with the click of a button.